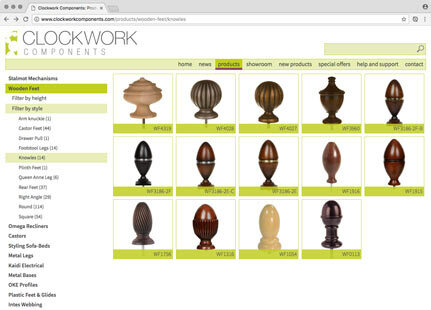 Clockwork Components is the UK’s leading supplier of components to furniture makers, large and small. 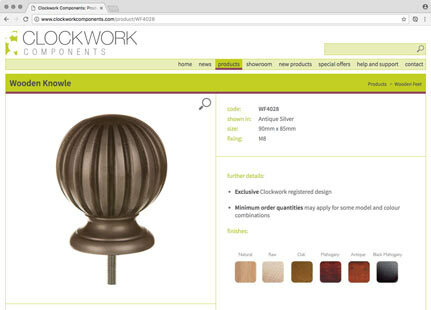 Clockwork Components required a system to manage data and deliver views in a fast and efficient manner for their extensive range of established and new products. Working with Steve Foote of design agency Tin Racer Design, we considered carefully how to optimise product data and user friendly views for fast delivery to handheld and desktop devices. Clockwork Components know their customer base very well, with a clear understanding of how customers prefer to source furniture components. That understanding, led us to design an interface and delivery mechanism that would not overwhelm customers with vast amounts of preliminary data and a complex visual representation of the data. Instead, users can choose easily to focus on components with specific attributes and are rewarded with pertinent results quickly. 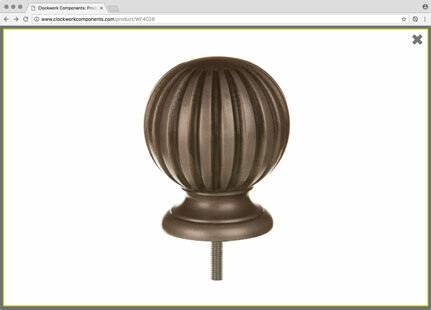 One of the desired outcomes of the project and crucial to the user experience, was to allow customers to be able to zoom into a product image and see the finer details. Steve and I developed a strategy for preparing and optimising product images for use on small, medium and large screen dimensions, and utilised the pinch-to-zoom features found on touch-based devices to present real image enlargements when the user chooses to zoom – it was important not to disappoint users. 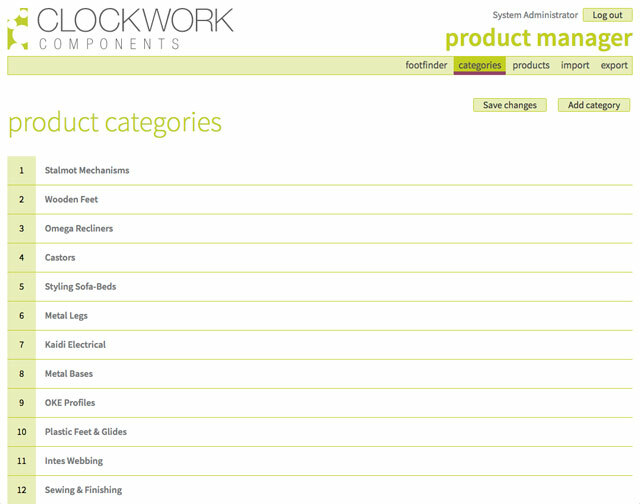 I also developed an app, the Products Manager, to allow Clockwork Components staff to manage products data and set the parameters for how product views are presented and operate.